Maryland sports betting was thought to need an approved voter referendum, but state lawmakers say they’ve found a way to legalize sportsbooks before the next election. 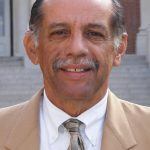 The Maryland Constitution mandates that any change to commercial gambling laws comes with an accompanying voter referendum showing citizens support the legislation. The next statewide election won’t occur until 2020, meaning the Old Line State will miss out on the expanded gambling for at least another two years. However, this week state lawmakers touted the idea of placing sports betting under the Maryland Lottery’s oversight. Changes to the lottery are exempt from the voter referendum requirement. Hopefully we can expand sports betting and dedicate that money to the education fund. That’s taking place in all the other states around us,” House Speaker Michael Busch (D-Anne Arundel County) told the Baltimore Sun. Busch’s home district is also home to Maryland Live. 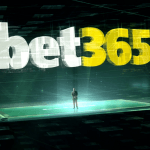 A recent poll found that 53 percent of Marylanders support sports betting authorization. Just 33 percent said they disapprove. Since the US Supreme Court repealed the federal sports betting ban last May, seven states – Delaware, New Jersey, West Virginia, Mississippi, New Mexico, Rhode Island, and Pennsylvania – have joined Nevada in allowing full-scale sports betting to take place. 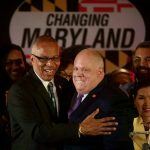 Virginia and the District of Columbia are also mulling sports betting regulations, which means Maryland could soon become completely encompassed by states with legal sports gambling. Maryland is home to six casinos. MGM National Harbor, Maryland Live, and Horseshoe Baltimore account for the vast majority of the gaming revenue, as the three other venues are smaller resort casinos. The parent companies of the three casinos have all urged the Maryland General Assembly to find a way to fast-track sports betting. Marylanders cherish sports. Baltimore is home to the MLB Orioles and NFL Ravens, and the Washington Redskins play their home games in Landover, Maryland. The state is also ravenous for college sports. From the Maryland Terrapins to Navy Midshipmen, legalized sports betting would presumably attract widespread activity on both professional and collegiate sports. A bill to legalize sports betting was introduced in 2017 by Delegates Jason Buckel (R) and Kevin Hornberger (R), but failed to pass. In the legislation’s fiscal policy note, state economic researchers said legal sports betting would increase gross gambling revenue (GGR) between 1.5 percent and 6.5 percent. 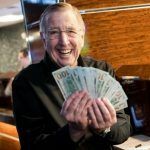 Maryland casinos won more than $1.7 billion in 2018, meaning legal sports gambling could deliver a win as much as $110 million annually to casinos should the economic projections be correct. New Jersey’s sports gambling market, which began last summer, generated GGR of over $94 million through the end of 2018.